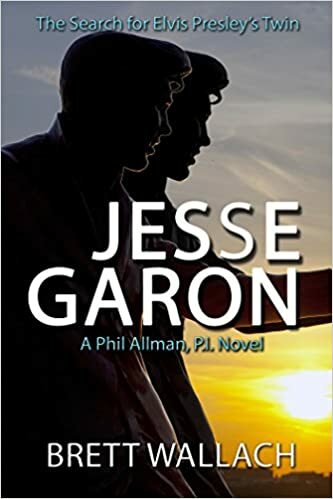 When I started to read Jesse Garon (Phil Allman P.I. Book 1) I didn’t know what to expect, but I couldn’t help myself to keep reading until the very end. It’s a real page-turner. The story is about a Private Investigator, Phil Allman—and a big fan of Elvis Presley—who attended at the “Elvis Forever” fan club and after the meeting, a lawyer, Downes, approached Allman to hire him to find Elvis Presley’s twin brother, Jesse Garon. Stunned by the fact that Elvis’ stillborn twin brother is alive after all—he didn’t die on January 8, 1935—and was brought up as Robert Zimmerman, Allman accepts the job offer. He knew Zimmerman’s daughter, Rhonda, from high school and decides to talk to her about the sudden disappearance of Zimmerman. After he visits her abusive ex-husband, Rhonda is killed and Allman tries to solve the case while more people get killed. Brett Wallach is a gifted writer, and I love to read more of his books. I give this book a five-star reading.